As an Instructional Technology Coach, I frequently lead professional development opportunities for my staff regarding meaningful technology integration. Today, I thought I might do something a little bit differently. 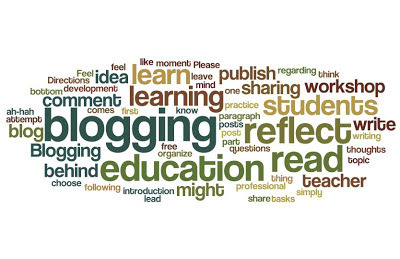 My professional development workshop today is focused on "blogging" in education. The idea behind this, is to get my colleagues to actually practice the act of blogging by first "microblogging". My colleagues will be leaving a comment to this blog post that will act as their personal blog post. 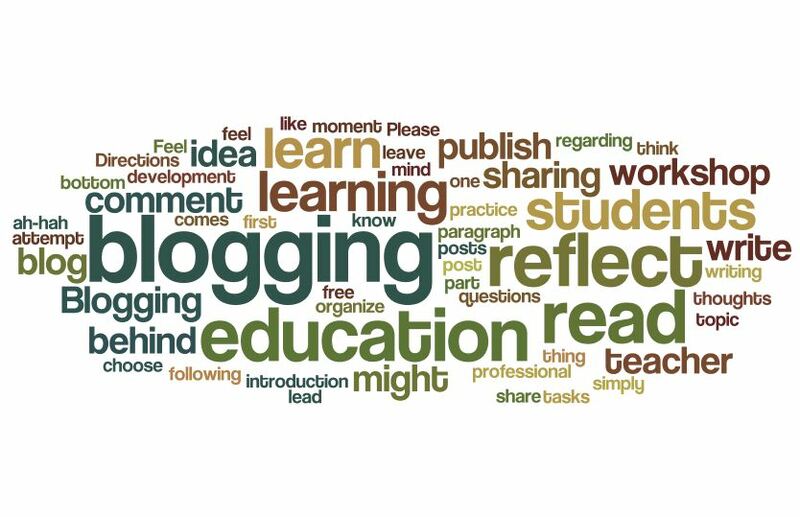 Then we will have a discussion followed by more activities about the topic of blogging as a learning tool for both educators and students. Please choose one or more of the following blog posts to read. Then, simply leave a comment to this blog post at the bottom. Your task is to read, reflect, write, and share. Your comment should be about a paragraph in length and should address the topic of "blogging". The purpose of this activity is to go through the blogging process while simultaneously publishing your thoughts on the web in the form of a "comment". NOTE: Be sure to comment as (Name/URL) and just type in your name. Featured blog posts to read on the topic of "blogging"
How to make better teachers? So ... what are your thoughts??? I love the title, "Just give me the fish"! I chose to read the blog because of the title. The blogger really did a great job of connecting the title to the subject of the blog: Learning is a process - much like catching a fish however in our busy world, we often want it fast and now (in other words, forget the fishing...give me the fish"
I agree with the sentiment entirely. My continuing education is vital to my success in the classroom. I have to learn to fish if I want my students to do the same thing. I found the article How (and Why) Teachers Should Blog.....I really connected with this author's perspective on blogging being like a journal. I enjoy reading blogs that are very visual...as I need it to be in a different format that email, books, etc....I look for a blog to be quick and inspiring. After reading the blog, "Just give me the fish", I feel like I truly identify with the author. I have been to my share of conferences and also walk away feeling overwhlemed with new information and a fear of not being able to recreate the learning potential in my own space. One thing that I have learned to do is to allow myself the room to choose only a couple of new strategies to use instead of feeling the need to try everything at once. For instance, at the end of the conference, I look back over the schedule of classes that I attended and choose 2 things that I will try the following week. that way, I don't spend the next two weeks trying to figure out what I learned. I think that what resonated with me is the idea that it is journaling. I can journal! I also connected with the idea that students will perhaps connect with material better. I think the best thing for me about blogging will be the reflection about what I do every day and what I can improve. Reading what other teachers are doing in their classrooms is a great tool for growth. No matter how long you have been teaching, I think it is important to change and grow and keep your teaching current. 5 reasons your students should blog. One the most helpful reasons on this site was reason number 1: Open Reflection. Open reflection allows students to think about the days learning and basically record their thoughts out loud for others to reference. Have students reflect on their learning is a great self check. Hey, did I get that? Or do I still have questions to fully understand this topic? Writing out a reflection on a web based program allows others to view your thoughts as well. This continual stream of talking, thinking, and writing about concepts in class would help others refine their thoughts and ideas. great idea! I think using this as a closure learning log idea might be great. The name "Just Give Me the Fish" pulled me right in but the name perhaps belies the message. GCouris' message is that teaching is not the sum of the strategies I employ or the data I collect. Teaching is an art and teachers need the time and mental space to feed their muse.